Are you thinking of a jetting off to a beach or poolside holiday for a festive getaway? Or even just planning on making the most of the school holidays by heading to your local pool. Make sure you are organised early and add some swimwear to Christmas wish lists for the young men in your family. Whether he’s a seasoned swim pro, fit to dive in at the deep end and swim like a fish, or a more timid learner, the large range of styles and colours, will give him an added excuse to stay in the water and learn some new tricks. SimplySwim has got the long and the short of boys swimwear sorted, with sporty pacer panel jammers with go faster stripes, to sculpted contrasting block print swim shorts that’ll have him the envy of the pool. With a range of bright summer colours from blue, red, sharp acid greens and navy’s and tidal pattern contrast leg shorts, he’ll be overwhelmed by the sea of choice. Not only fashionable and stylish but also practical and comfortable. You can pick a range of cool prints in even cooler colours to keep that up and coming fashion model in the style to which he is accustomed. No need to hide poolside this holiday, this fantastic range of fashionable beachside swimwear will blow his socks off. No matter whether you are looking for professional diving swimwear or soft adorable prints for tots with a drawstring waist, there is something for everyone at SimplySwim. With a range of lengths and soft stretchy fabrics, you’ll be able to buy safe in the knowledge that they’ll be a perfect fit. 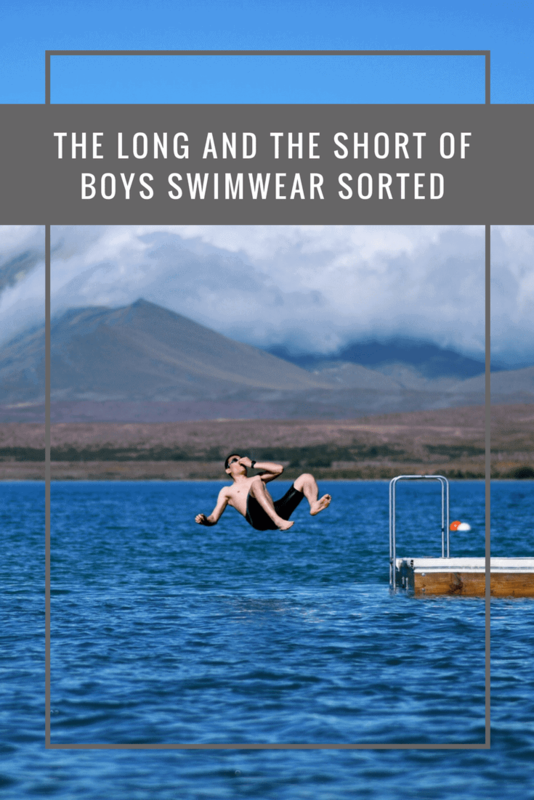 There’s never been a more stylish boys range of swimwear available ever and you’ll even find suits with built-in floats for added safety and confidence. You’ll have a beach boy you can be proud of this beach holiday and he’ll be able to enjoy the rough and tumble of the holiday knowing he’s looking super cool in the heat!